Summer feet love to be fun, flirty, and comfortable! 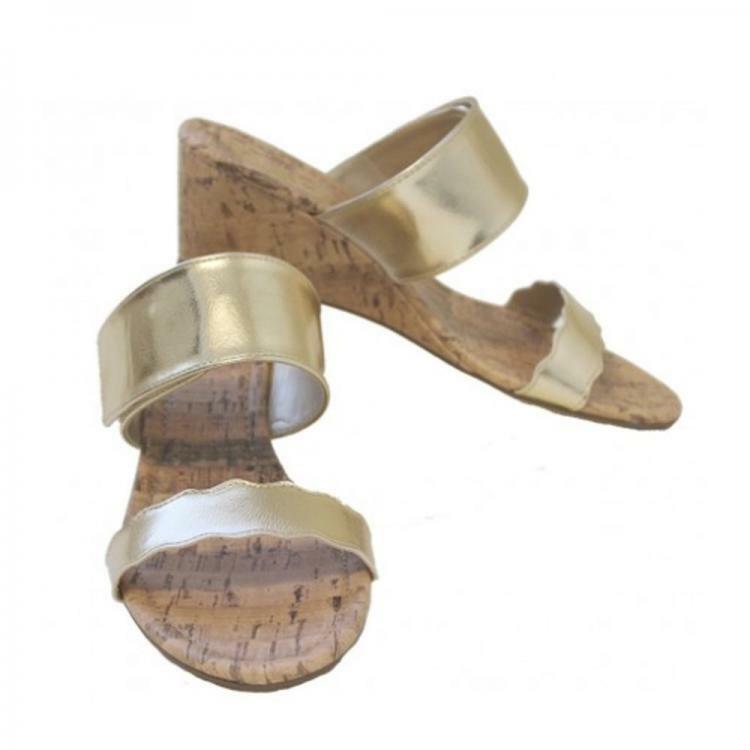 Neutral metallic gold vegan leather straps on a classic lightweight cork base combine for effortless chic style day or night. Wear to work, the beach, or a night out; these go everywhere. The two-inch heel is low enough to be cute with shorts yet high enough to look great with dresses and just right to be comfortable all the time. Your monogram centered on the top strap makes these beautifully and uniquely yours. Price: $60.00 In stock! - Browse this brandOur products are custom made to your specifications. This product ships up to 1 weeks after your order is placed. Choose either Master Circle or Circle for the font choice on your sandals.